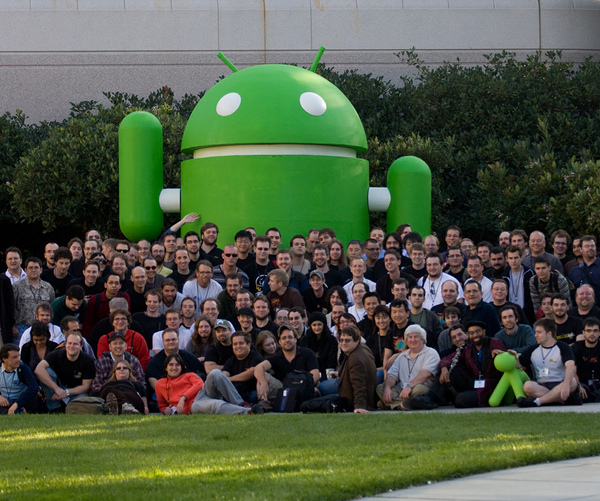 Here’s an important milestone in Android’s progress. According to the latest figures from Google’s Android team, over half of all active devices are now running version 2.2 of the mobile OS. Why is this important? This means that most devices are now fitted with important recent additions to Android like robust Exchange support, the portable Wi-Fi hotspot option (where carriers allow it), support for Adobe Flash and lots of back-end improvements to speed and security. While Android has seen an explosion in growth over the past few months, there have been concerns that many devices are stuck using older version of the OS thanks to handset manufacturers that have been slow to implement upgrades. Indeed, the new figures show that 35.2% of handsets are still on 2.1, while 7.9% are running 1.6 and 4.7% are stuck way back on the antiquated version 1.5. 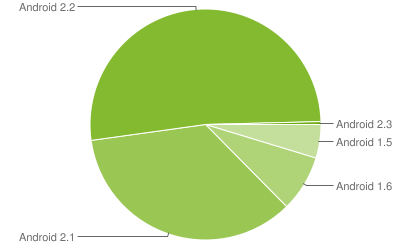 As the graph below shows, 2.2’s share of the Android pie has been growing steadily for months, but the tipping point to dominance came in the past few weeks. The growth of support for 2.2 is partly due to increasing numbers of handsets that have been upgraded to the new OS, but also down to the fact that the latest Android devices being sold new tend to sport the “FroYo” 2.2 flavour. As for the latest version, 2.3? That’s sitting at a mere 0.4% share, but seeing as only the weeks-old Nexus S thus far supports it we’ll forgive that and look forward longingly to the stunning-looking 3.0.